Online link will be added soon! "Great Poverty Conference - Now What?" Follow-up discussion and questions was moderated by Longview News Journal Editor Ric Brack. We hope you were able to hear keynote speaker Geoffrey Canada at the conference and we hope you will come prepared to discuss what you heard and what you hope will come from the conference. 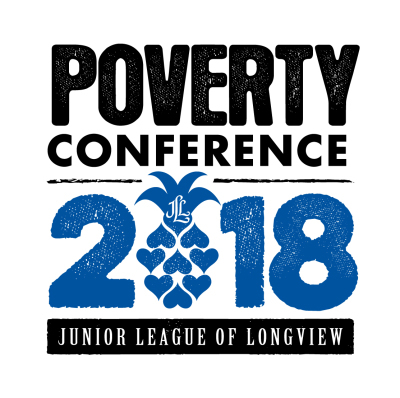 Whether or not you attended the Poverty Conference, we want you to join us to be a part of the conversation on how to move our community forward. City of Longview "Love Longview" program is a developing initiative by the City to provide for one-time work days for projects such as an elderly person that needs some help in the yard or around the house and also larger revitalization projects that serve to improve a neighborhood "block by block" in the manner that Canada spoke about. Buckner Family & Children Services works to transform the lives of vulnerable children, enriches the lives of senior adults and builds strong families through Christ-centered values. Boys & Girls Club of Gregg County provides safe hours between school and home where youth participate in life-changing programs and build supportive relationships with peers and caring adults. The Boys & Girls Club's proven impact supports all aspects of positive youth development: academic success, good character, citizenship and healthy lifestyles. Thrive 360 provides out-of-school programming for youth to help them thrive intellectually, socially, physically and spiritually. Partners in Prevention Mentoring Program has mentoring opportunities in five area school districts: Longview, Pine Tree, Spring Hill, Hallsville and Kilgore . Adult mentors are matched with one student and usually meet during lunch on the school campus. Approximately 85% of the youth in the mentoring program are living in poverty. Partners in Prevention and Longview Police Department co-coordinate the annual crime prevention awareness event, National Night Out. Neighborhoods, businesses, churches, and organizations are encouraged to host a block party to get to know their neighbors and police area representative in order to reduce crime throughout the year. Greater Longview United Way focuses on improving lives in our community. Our community is served by 36 programs with a focus on impacting positive change in lives. Many opportunities exist for community involvement, specifically through the Get Connected link on our website, www.longviewunitedway.org. Get Connected puts volunteers in direct contact with agencies needing their assistance. Our thanks to all community members who attended this informative gathering! Let's keep talking and sharing!